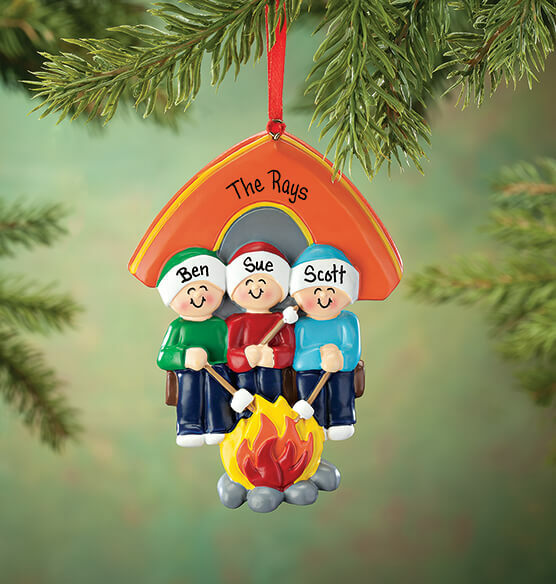 The family who camps together makes memories that last a lifetime as seen in our Personalized Camping Family Ornament. 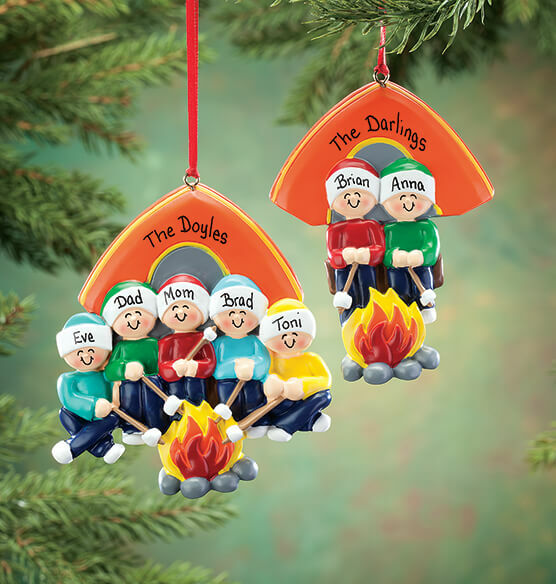 We'll personalize this marshmallow-toasting family for your crew of campers. Choose from a family of 2, 3, 4 or 5, and we'll add a name to each hat and your family name across the tent. 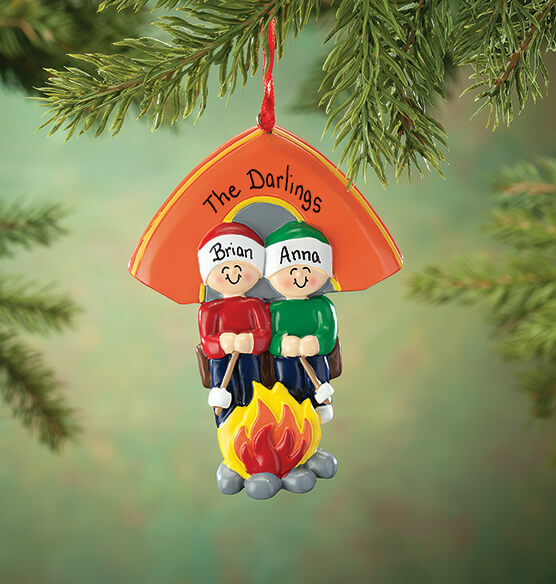 Misspelled name ~ name spelled right on invoice but NOT on ornament! 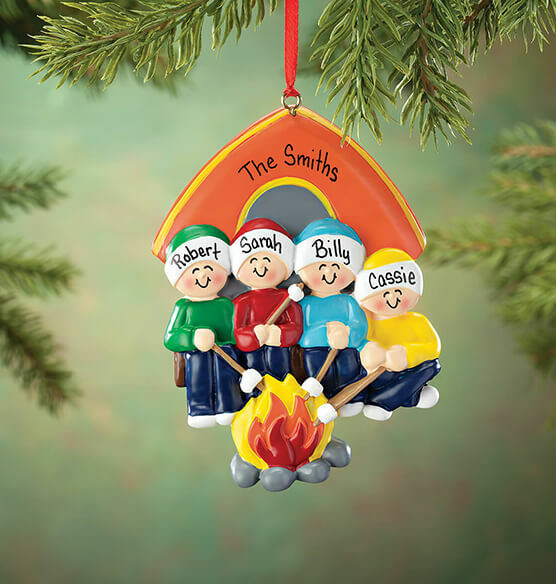 Ornament is super cute!